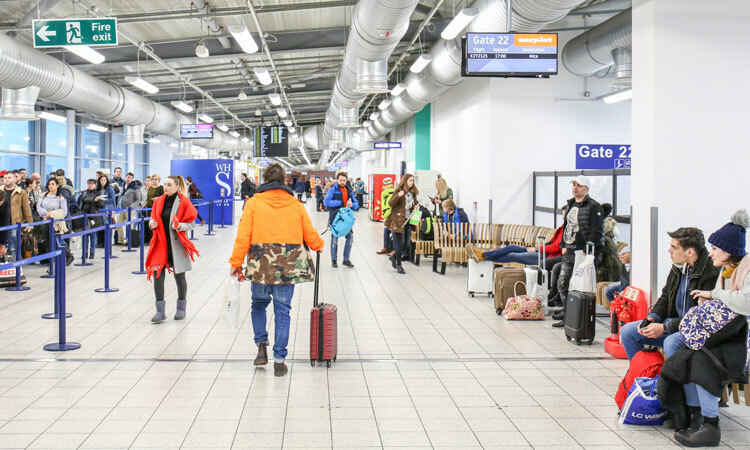 In 2018, one of the UK’s largest airports, London Luton Airport (LLA) completed a £160 million transformation designed to elevate the airport’s passenger experience through a contemporary terminal extension, new luxury retail area and cutting-edge digital signage network. Kamal Patel, the airport’s Head of IT provides us with an insight into the specification and maintenance of LLA’s digital signage. This year, LLA celebrated its 80th birthday. The airport has grown from a small municipal airfield to a major international airport serving 150 destinations in Europe, Africa and Asia. 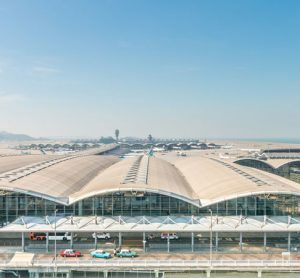 15.8 million travellers passed through the terminal in 2017, resulting in an 8.6 per cent growth on the previous year, which is predicted to increase to 18 million passengers annually by 2020. As the airport grows, our focus is to ensure passengers feel at leisure as they move through the terminal, with a quick, easy and enjoyable experience, augmented by digital signage solutions. With the airport terminal under intensive operation 24/7 and staff becoming more dependent on the use of technology for daily tasks, it was imperative we devised a network to withstand heavy usage with a low failure rate. As part of the upgrade, all existing displays were replaced and new displays were introduced across the terminal. Having been impressed with LG Electronics’ professional displays in the past, LG was once again specified, installed and maintained by the airport’s audio-visual partner of 12 years, SPC Group. We now have over 400 LG screens in operation at any given time. Each display is strategically placed to convey critical information to passengers from the moment they enter the terminal; relaying check-in and gate information, flight status, distance and travel time to the gate. We also extended our network of estate owned digital advertising screens within the airport to deliver additional messaging, public announcement and third-party advertising. Each desk has two displays, one providing airport advertising, the other check-in information, now with better colour definition and wider viewing angles. Within the security search area, LG 49-inch SM5KD displays are placed throughout walkways to guide and provide wayfinding and flight information, with the aim of ensuring every passenger feels at ease. A colour-coding system on flight information was implemented to reduce passenger anxiety around flight information by providing a visual indication of flight status, which passengers can easily see from a distance. A prominent 3×3 LG 55-inch LV75A video wall has been installed as passengers leave the security area, which relays adverts for airport retailers and further flight information before they enter the retail area. 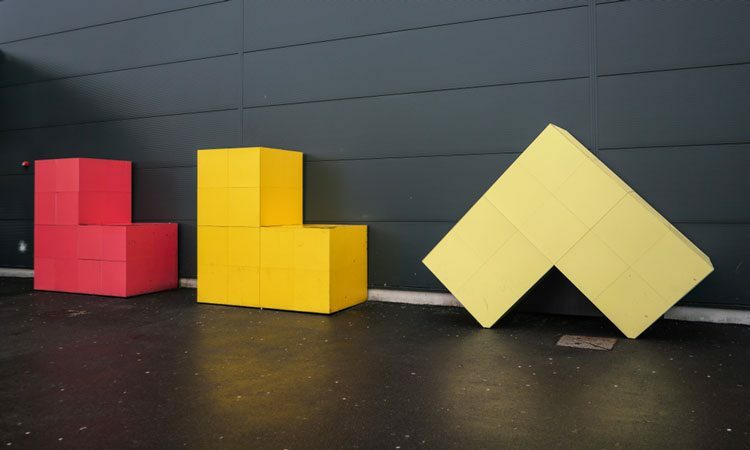 It forms a striking addition to the departure lounge and has already proven to attract passenger attention. Ten LG 49-inch SM5KD displays are positioned along the escalators, in a prime location for external advertising, sold to third parties as part of the airport’s digital signage estate. A key element of the transformation is a new retail area, which hosts more than 30 new shops and restaurants, including Ted Baker, Next, Oriel Brasserie and the first Oliver Bonas airport store. LLA has also provided retailers with the opportunity to invest in in-store flight information displays to reassure passengers as they shop. The displayed content is managed by the retailers and restaurants directly, who create their own content in accordance with guidelines stipulated by the airport’s marketing and communications team. The team then upload this via Signagelive’s cloud-based platform to schedule and manage content using an integrated content management system. Campaigns can be amended or changed in real-time via any browser, offering complete flexibility. LLA has increased the number of flights and destinations it has to offer, with a new boarding pier taking the total number of gates to 38. Each gate features four LG 34-inch 34UM68 monitors, hung from the ceiling in back-to-back formation to ensure visibility in the walkways from both directions. The ultra-wide monitors can be used as split screens, featuring the destination and flight number on the left and destination information such as weather on the right, further enhancing the customer experience. 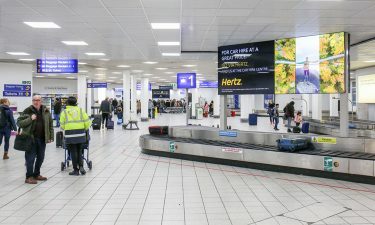 LLA’s baggage reclaim hall has two LG 55-inch 55LV75A video walls in a 3×2 and 2×2 back-to-back formation, mounted on a custom frame by SPC Group. These are used to provide onward travel information in real time to show live bus, train and weather data. The airport selected Signagelive as its digital signage platform over five years ago, which enables the airport to simultaneously update all the displays from one dashboard or select specific displays to send a single message. 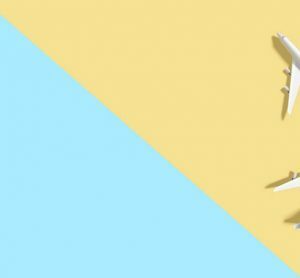 A content strategy was implemented, which updates from several sources including live flight information, emergency messaging, marketing elements and advertising from partner brands. LLA operates a centrally-connected control room, through which all uploaded content is stored and managed in the cloud, removing the need for onsite storage servers and the centralised facility manages different display types, sizes and content formats via a single web-based interface, making the implementation of digital signage a straightforward process. 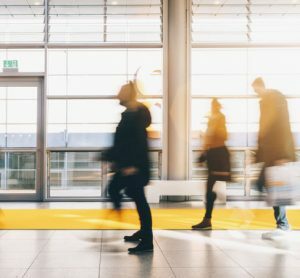 On an ongoing basis LLA has used digital signage to communicate to its internal audiences, including airport employees, contractors, tenants and incoming flight teams. A 2×2 video wall in the staff area provides regular updates on airport initiatives and development plans. The video wall is also used by the airport’s human resources department to communicate with employees working a variety of shift patterns. 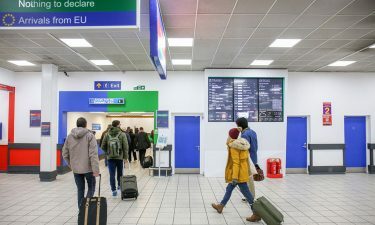 Overall, having a holistic and partnership approach to our digital signage system has enabled us to consistently innovate and implement change in an agile way across the airport. 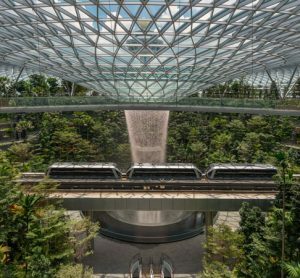 Each part of the ecosystem was specified with the traveller in mind, enabling them to have an airport experience which is both comfortable and informative. Our innovation continues with continual investment in the digital infrastructure designed to eventually become able to personalise a journey through the airport, from check-in to take-off. Kamel Patel has worked at London Luton Airport (LLA) for over 20 years. He is currently Head of IT, responsible for all IT and digital systems, leading change implementation and evaluating new technology solutions. Kamal works alongside airlines, handling agents and airport-based businesses to deliver efficient and cutting-edge services. Prior to joining LLA, Kamal was a test/automation engineer at HMGCC and before that a support engineer at RadStone Technology.